by living healthier longer !! 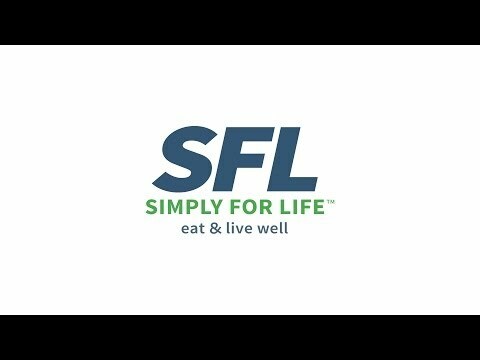 Become a Simply For Life Franchisee to help your clients achieve their goals of optimal health through nutrition, ultimately helping them to live longer. If you cannot see yourself doing what you are doing for the next 5 to 10 years !! Simply For Life is more then just a franchisee . Beyond being your own boss and changing people lives we believe in offering a permanent quality of life to our franchisee to live life under your terms and have your personal health and quality of life positively influencing your family . Our own passion began in 2001 when our co-Founder Bruce Sweeney developed a breakthrough program after years of education and research traditional diets and specially the Mediterranean diet and lifestyle. Since then, with our state-of-the-art meal planning system to create customized meal plans enabling us to focus more on building relationships with our clients become our culture, Simply For Life has produced over a million personalized nutrition plans, helping countless Canadians reach and maintain their goal weight, and achieve their best health — for life! improving long term the quality of life of our franchise. An exclusive client-focused experience that the core value is base on relationships. Science-based nutrition plans and progressions not influence by any industry or influencing any gimmicks. A well-branded, professionally run centre with 7 day support system for your retail / management and clients. A private, client-tailored online portal made simple for all generations. Healthy recipes to fit each lifestyle, inspiration and motivation. Uniquely trained, passionate, and compassionate advisors. The opportunity to offer a healthy, Natural Market for your clients. With you in mind by becoming a true role model that can positively influence not just your business but your family for life. A huge influence on having fun and creating a contagious environment that everyone wants to belong to. Employment to 4 to 10 staff on average. Marketing support and human resources guidance 7 days per week. Full support from management team because we love working with people it is a Maritime thing !! The founders preparing real traditional food at the barn. Are you tired of your lifestyle and industry? We are searching for talented people who are intent first on improving their quality of life and living life under their terms who will positively influence their clients showing a passion for health, wellness, and weight loss and most of all quality of life by reducing all risk factors. Many of our franchisees are holistic nutritionists, dieticians, naturopaths, kinesiologists, or personal trainers, however a background in nutrition is not mandatory. We will provide you with all the information and tools that you will need to support your clients and grow your business. The biggest background we want is your story to become healthy and happy simplyforlife. Combines a contagious personality with ambition, compassion, energy, and motivation. Has a track record of inspiring others. Is professional and accountable – living and working to a code of ethics. becoming a Simply For Life franchisee is perfect for you!